Finally – a rainy day so I can do some computer work! The weather has been so beautiful that I’ve spent most of the last week outside. 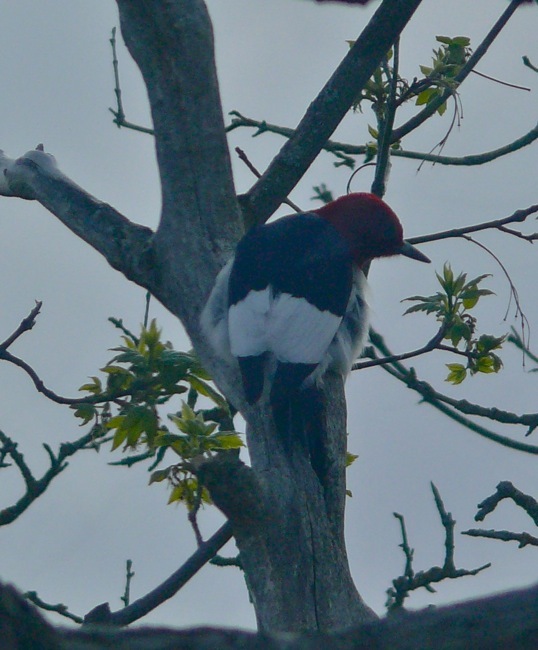 The most exciting sighting this week was a Red-headed Woodpecker! I’d never seen one at the farm before. Red-headed Woodpeckers used to be abundant in the midwest – especially during the period of the Chestnut blight and Dutch Elm disease, since they nest in holes in dead trees. 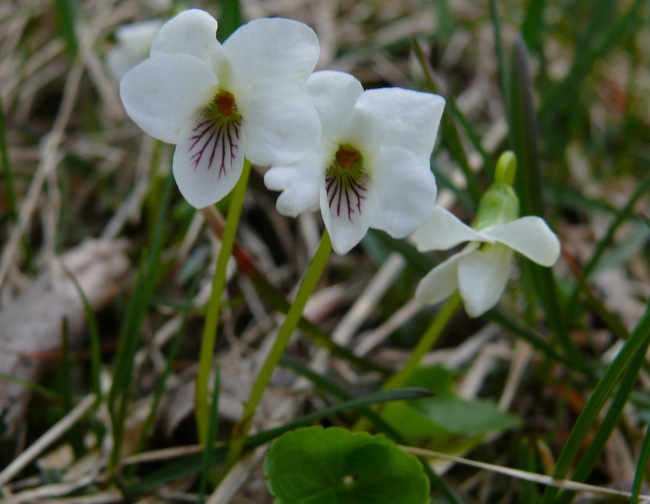 Their population is now declining dramatically, and I haven’t seen one – anywhere – in years. They like dead trees for nesting, and open areas with short vegetation – like savannas. 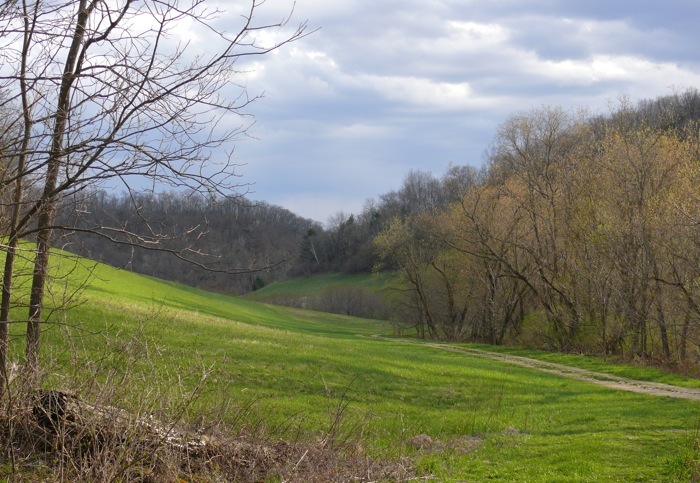 That’s just the kind of landscape we’re restoring, so I’m hoping this one will stick around and raise a family. We’ve had some beautiful weather this week – dramatic clouds with sun peeking through. And the spring leaves are making a haze of green on the trees. 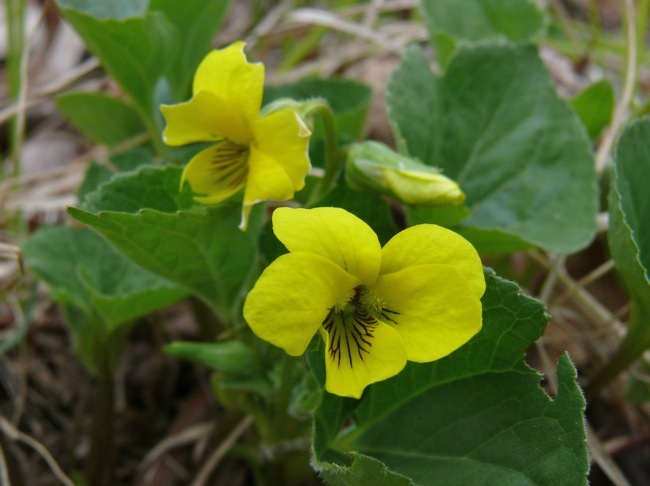 There are lots of flowers blooming now. 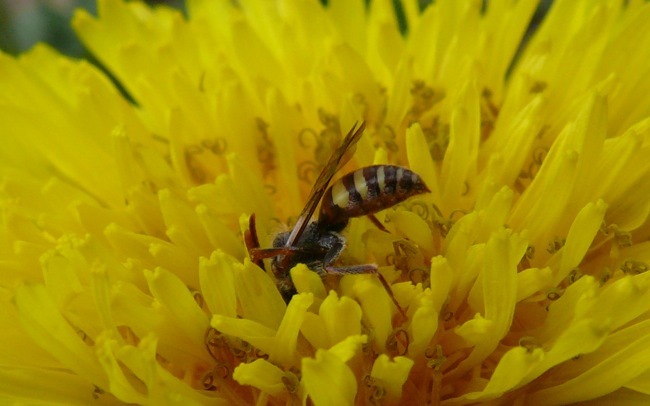 There are small bees nectaring on both native and introduced flowers on these sunny days. 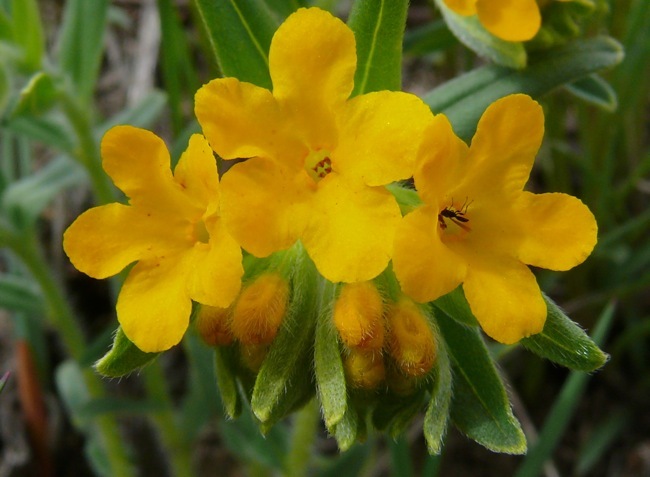 I like the way they dig their way deep into the flower, and stay there, with their heads buried in the petals, for a long time. I saw my first American Lady a few days ago. 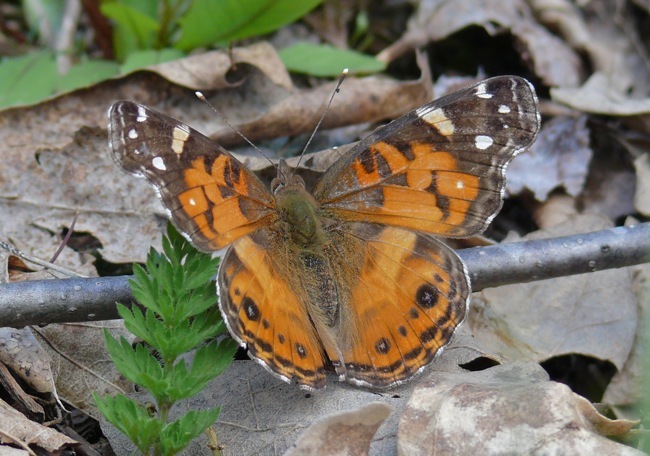 American Ladies lay their eggs on Pussytoes and related plants, and they’re one of the first butterflies to migrate up in the spring. 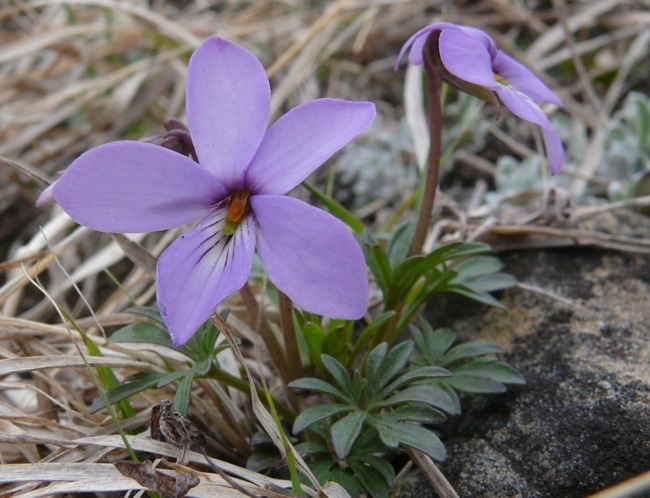 I’ve also been seeing a lot of Spring Azures. 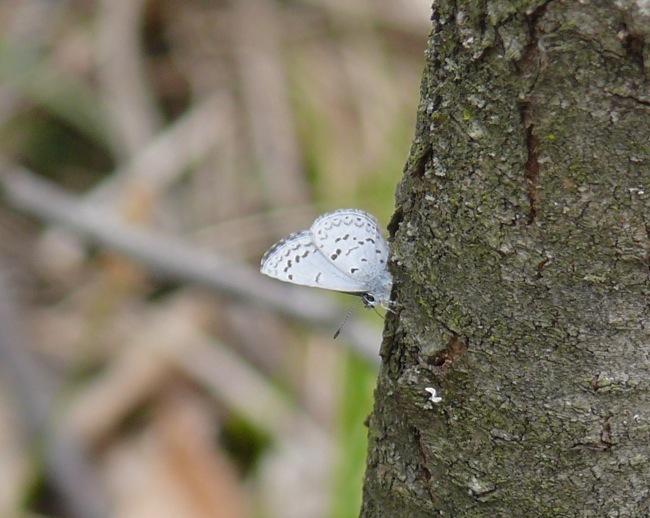 The tops of their wings look so blue against the muddy pond edges where they like to hang out. The ones I get photos of are always sitting still, so they only show the gray outside of their wings. 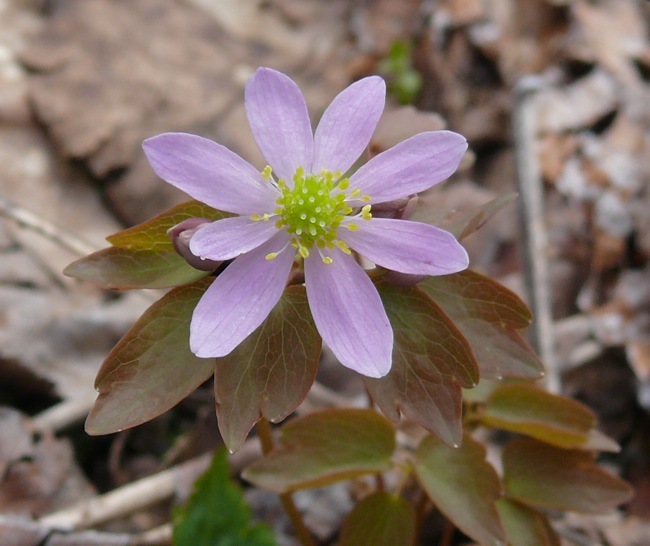 This one was along a wooded path. 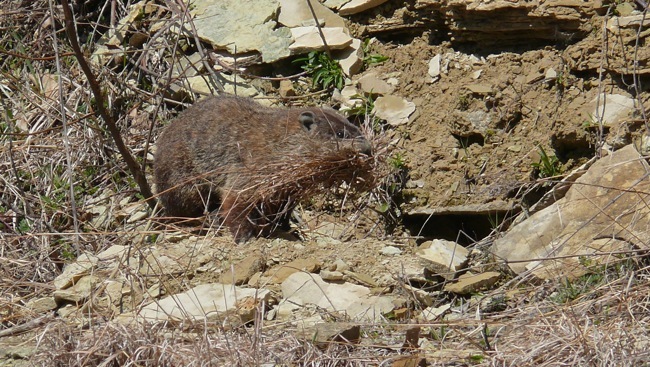 The woodchucks behind the house have been very busy collecting leaves and sticks, and tucking them into their holes in the cliff. 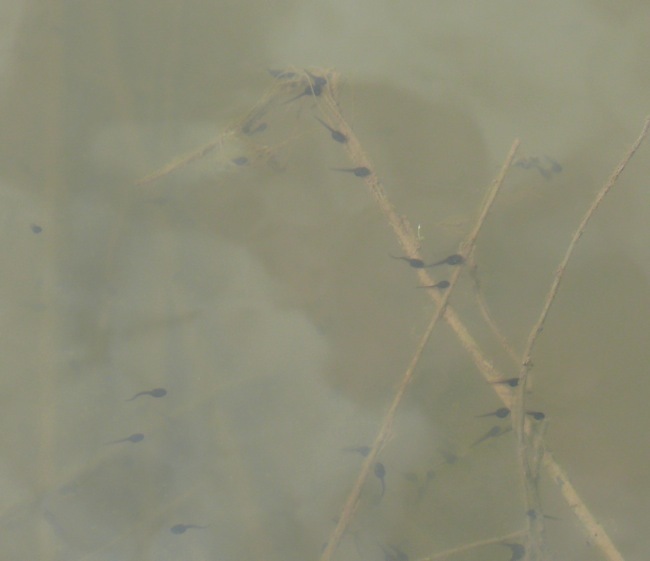 I checked the Frog Pond, and all the Wood Frog eggs have hatched – there are hundreds of tiny tadpoles. I found several snakes this week. 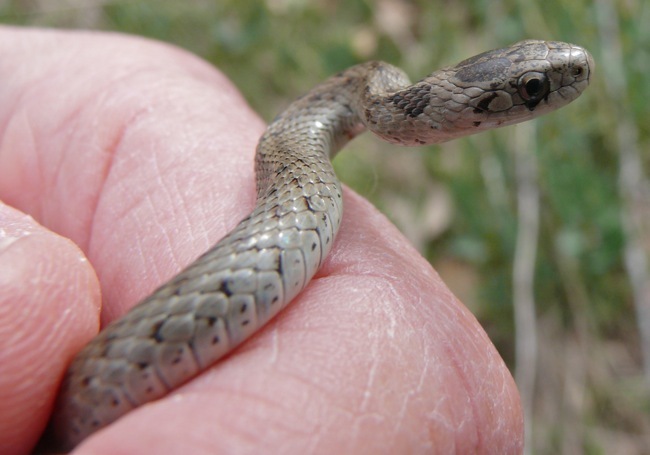 The only one I got a good look at was a small Brown Snake. 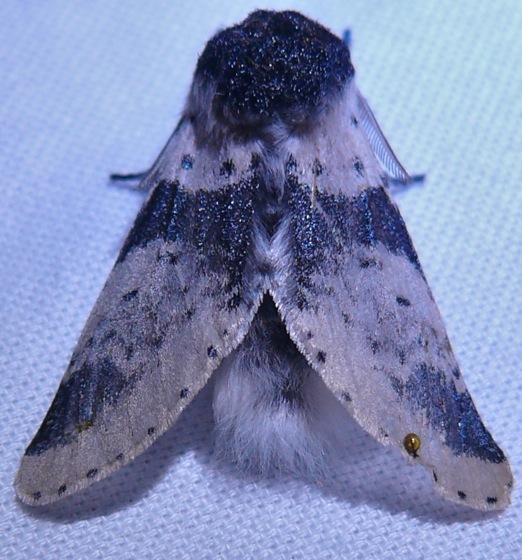 Finally, the mothing season has begun! I set up my lights for the first time this week. 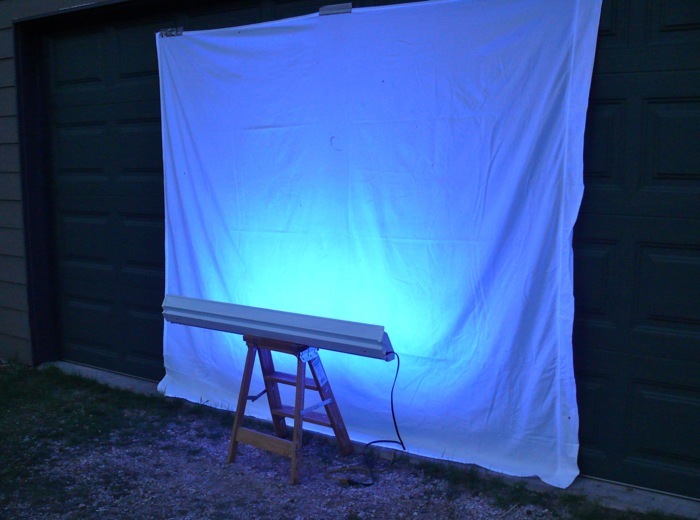 This is my set up – a white sheet taped to the garage door, and UV light bulbs in a shoplight fixture. 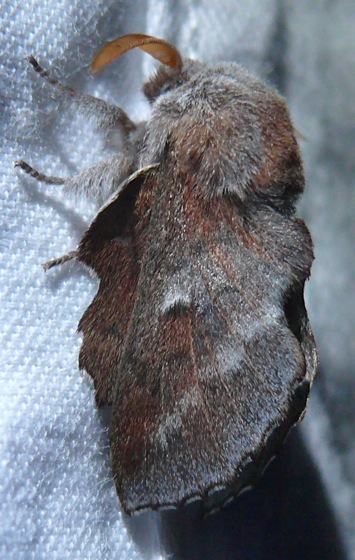 It’s still early for the bigger moths, but I got quite a few species – some that I’d never seen before. It’s always exciting to see what shows up! Here are some of the ones I was able to identify. 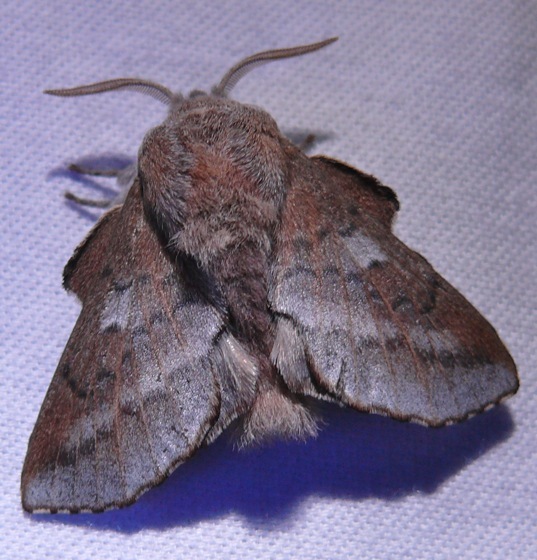 This is a beautiful moth that I’ve seen before – a Lappet Moth. 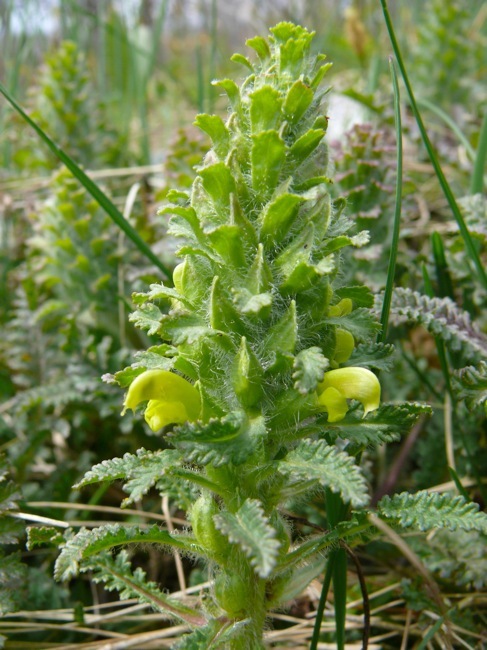 I saw at least a dozen of these this week. 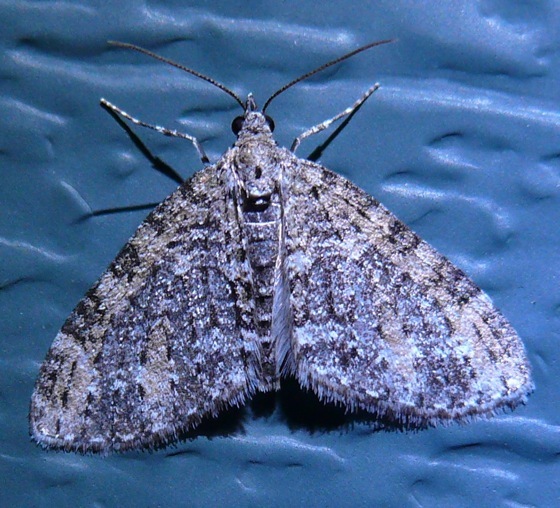 This is a Gray Spring Moth. 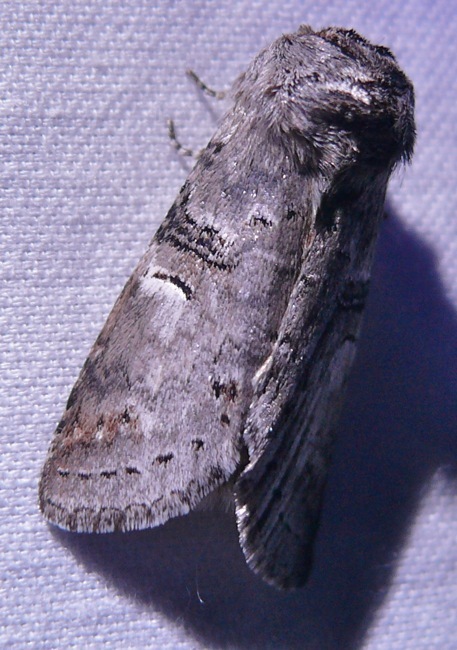 Another view of the Gray Spring Moth. 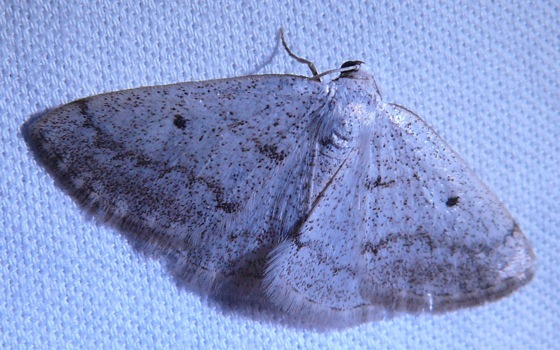 An interesting thing about this moth is that it often rests like a butterfly – with it’s wings over its back. 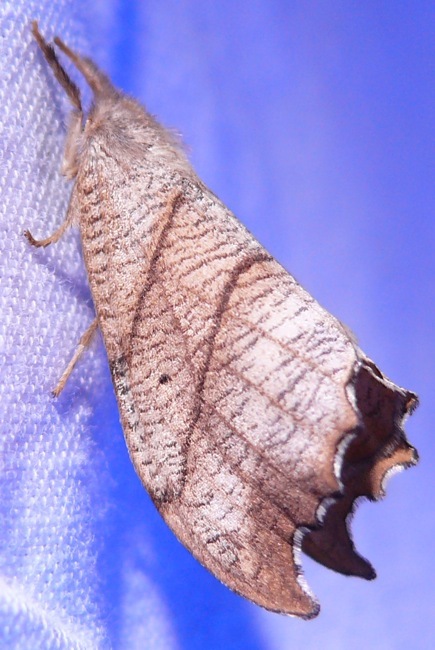 This creature showed up at my moth sheet. 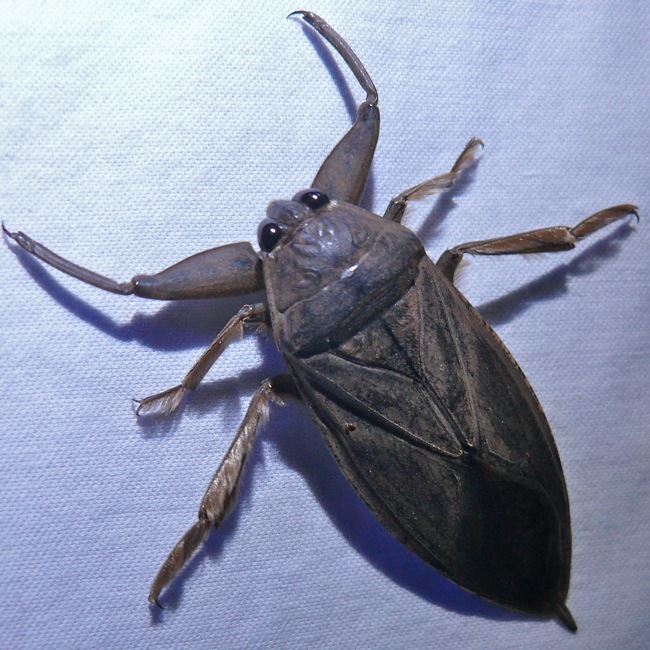 It’s a Giant Water Bug – its body – without legs – is about 2 1/2 inches long. It really startled me when it flew in and started buzzing around. It will eat any small creatures it can catch – including small frogs. It will also bite if it’s annoyed, so I was careful not to handle it. 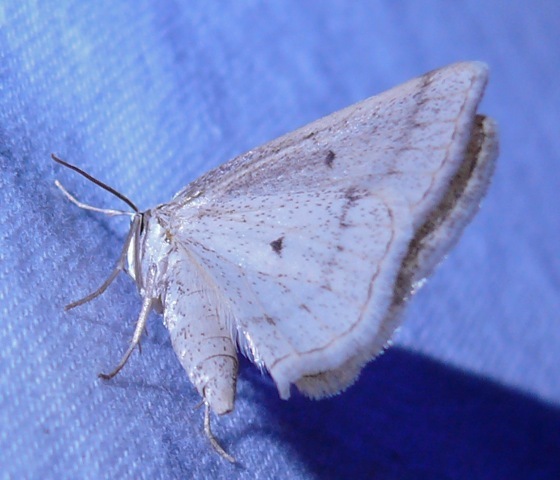 This is a moth that I’ve found before – a Two-lined Hooktip. 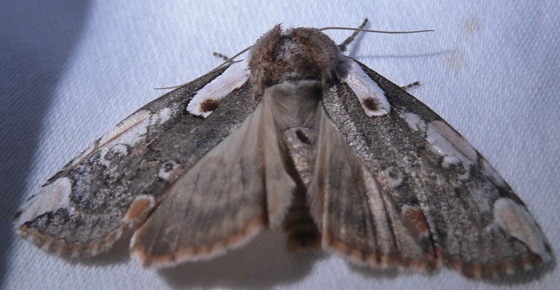 I’m still amazed by the variety of patterns and colors in the moths I see. I never get tired of looking at them. 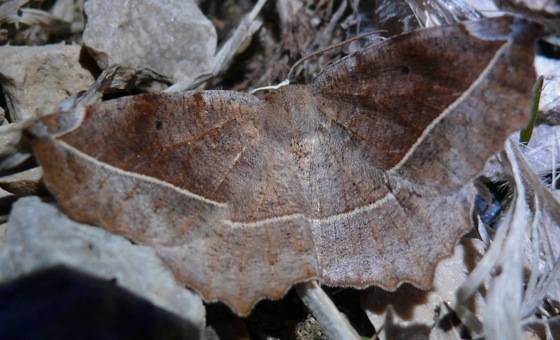 They all have such different lives – different strategies for evading predators, and surviving the winters, and their caterpillars look different too, and have even more different strategies for getting food and avoiding predators.